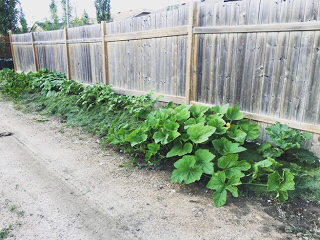 Day 30 of Agriculture Month in Saskatchewan brings us a guest post from a very special friend of mine. Jordan Hamilton has been in my life since I was born. From school friends and teammates, to university roommates, we have always been close, no matter the distance that separates us. She gently urged me (ok, downright nagged me) to join social media, and later to start this very blog. I always love her perspective as a “city mom”, even though her roots are rural like my own. Enjoy her post on balancing a busy, commuting family and placing priority on good food and family meals. Follow Jordan on Twitter @jmhammy and check out her blog, Just Jordan, here. My story starts in Tisdale, a farming community in NE Saskatchewan. My great grandparents were farmers, as were my grandparents, and all 3 of my dad’s siblings. My dad owns and operates Fritshaw Meats, but still managed to farm a few years while I was growing up. My husband’s family has a similar history. His grandparents and parents farmed. Even as I think about our roots, I feel a swell of pride for what our families have accomplished and provided for this province. Not surprisingly, because of my dad’s business, we ate a lot of meat growing up. And I wasn’t a big fan. In fact, I was known to push meat around my plate and a number of times even complained at the lake, “Steak AGAIN?” Not that you should ever complain about steak, but these ones in particular were always NY strips or tenderloin. I honestly had no idea at the time the price of all the food we ate and the fact that very few families would have eaten the plentiful choice cuts of meat that my family ate. I grew up with 2 full time working parents. We didn’t eat out and we always ate at the table as a family. I know there were times when my dad would eat with my brother and I, because my mom and sister had quickly eaten before her gymnastics, but my parents created a real sense of family with us by treating meal time as family time that my husband Hugh and I hope replicate with our three yahoos. My husband, Hugh, and I are also full time working parents. One additional factor that we have compared to our parents is our commute to work. We spend approximately an hour of our day in our vehicles. We also have a Saskatoon Blade living with us and have to factor his 19 year old appetite and cereal consumption into our meal planning. I don’t eat breakfast. GASP. I know. It’s terrible. I just love my coffee. With a lot of creamer. And I typically don’t get hungry until mid-morning when I have a piece of fruit. Hugh is the same. Double GASP. The kids LOVE cereal and we go through a lot of milk. And I’m pretty sure most days that’s all our billet eats until we get home :-). Hugh is the king of breakfast and so the kids often get pancakes or eggs during the week and if they request it, and waffles on the weekend. Hugh and I take a salad to work every day. These get made up on Sunday night. 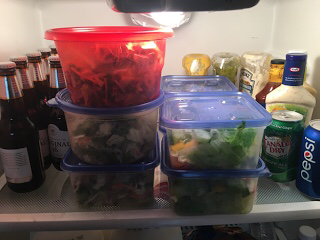 I take real pride in cooking homemade items for my family, but I have found that pre-made salads have really become my friend during the week to mix things up a bit. A person can only eat so many tossed salads. Calder likes salads at school along with soup or noodles packed in his thermos. He will occasionally take a sandwich or ham dip and crackers. A new one for us this year is that he can’t take oranges to school. Apparently, a teacher has an allergy. I am finding this a bit frustrating. Oranges are so easy to take for him. They don’t get bruised like a banana or take too long to eat like an apple (so Calder tells me). I always have muffins in our freezer to throw in our school bags and our weekly shopping trip always includes apples and bananas for Hugh and I to pack. 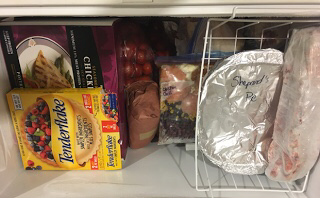 Our freezer is packed with pre-made meals we put together on the weekends. Chicken bruschetta, a multitude of casseroles, lasagnes, cooked meatballs and ground beef, chicken pot pies, chili, marinated cuts of meat, beef stroganoff, shepherd’s pie, and fajita mix to name a few. What we cook each day depends on the amount of time we have. Eat and go days we rely on casseroles, one pot slow-cooker meals, or some well timed leftovers. Days when we have a bit of time to prep before our 5:30 meal time, we will often eat a protein with rice or pasta. We save those heavy prep meals, like roasts, ribs, and homemade pizza, for the weekend. We also eat a salad most days at supper. 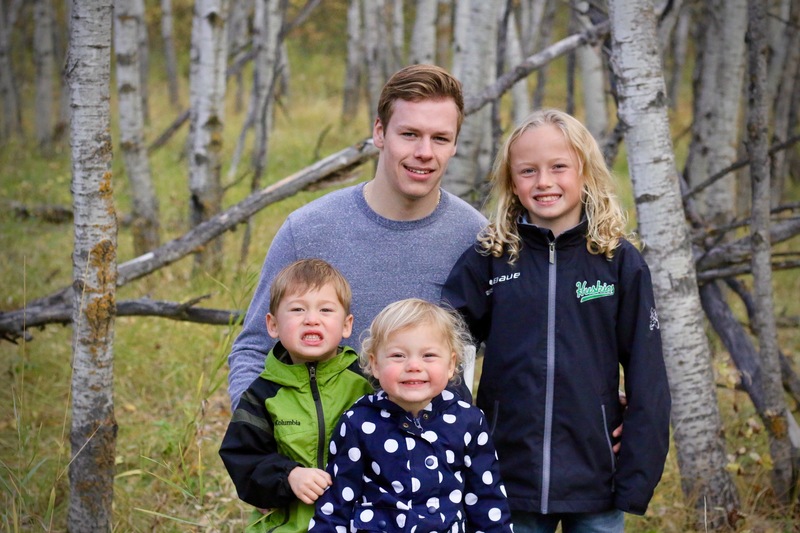 Our billet and kids LOVE them, so they are an easy way to make the kids happy! Timer on our oven and delay start outlet we plug our slow cooker into. Costco’s large package of pre-washed romaine. We also couldn’t live without online shopping. I have yet to use Superstore’s Click and Collect, but purchase all our dry goods from Walmart.ca. All items are identically prices as in store and they ship for free right to our door. We have storage in the basement and I have a backup of everything. I hate running out and also hate going to the grocery store more than once a week. 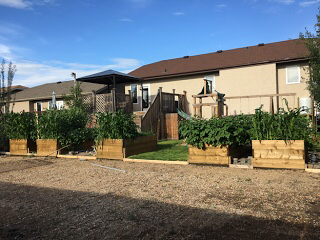 Lastly, our garden is a big part of our lives. 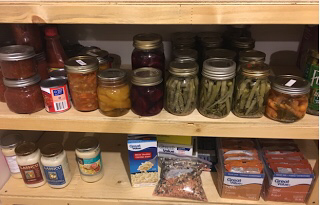 We devour fresh veggies in the summer and fall and enjoy salsa, spaghetti sauce, and pickles all winter long. These pictures are from last year. We now have a cement pad where the gravel is. 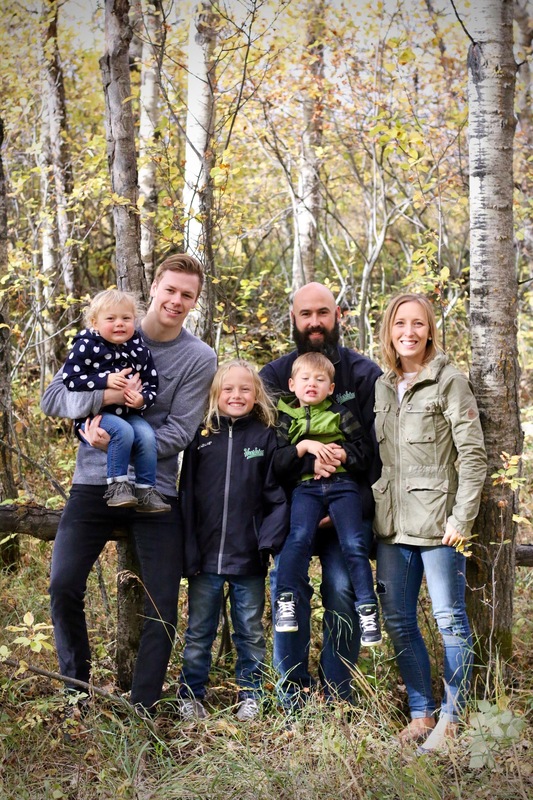 Our kids love shooting pucks and riding bikes there in the summer and Hugh takes some serious pride in his rink in the winter. I take full advantage of our limited space. When the bobcat came to dig out our rink, we had her put garden soil behind our fence in the back alley! And that’s our food story.